Two labourers died of suspected pesticide poisoning in Kuttanad, the state’s rice bowl, in January. 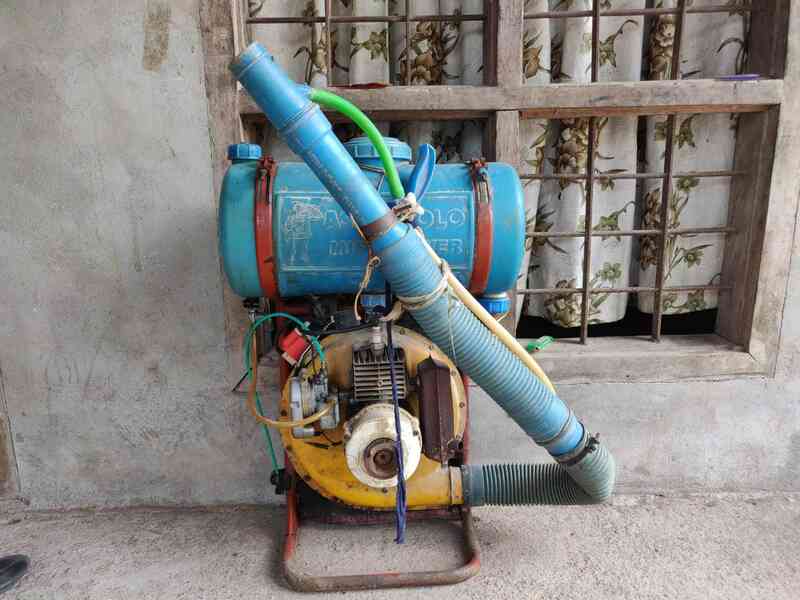 On the morning of January 17, KK Sanal Kumar strapped a motorised sprayer onto his back and left for a paddy field near his home in Peringara gram panchayat of Kerala’s Pathanamthitta district. 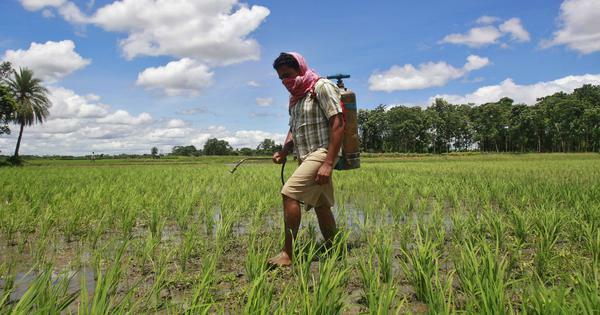 The owners of the field, Unnikrishnan and Sanil, gave him several bottles of the highly hazardous pesticide Viraat to spray on their 40-day-old crop. The field forms a part of the 55,000-hectare rice-growing area in the Kuttanad region, popularly known as Kerala’s rice bowl. Kumar diluted the pesticide with water with his bare hands and sprayed it without wearing protective gear. Manufactured by the United Phosphorous Company, Viraat is a concoction of cypermethrine and quinalphos pesticides. The Kerala Agriculture University’s advisory to farmers cultivating commercial crops recommends using it on cotton and brinjal, but not rice. But Unnikrishnan and Sanil decided to spray Viraat in their rice field after detecting the presence of Ila Churutti Puzhu, a pest that eats paddy leaves. This is the first crop season after Kuttanad was devastated by the worst floods in a century in August, and farmers are banking on a good yield to tide over their losses. They just cannot afford to leave their crop to the mercy of pests. Kumar began work at 10 am but had to stop after about an hour and a half when his machine malfunctioned. He fixed it quickly and resumed the spraying at 12 noon. At around 3.30 pm, he complained of uneasiness and was taken to the Government Taluk Hospital in Changanassery, around 10 km away. As his condition worsened, he was referred to the Government Medical College in Kottayam. There, he told his wife Lavanya that he had taken ill “because of the pesticide”. He died early next morning. He was 43. His autopsy report, seen by Scroll.in, states that the “death happened due to poisoning”. The same day another man died of suspected pesticide poisoning in Peringara. 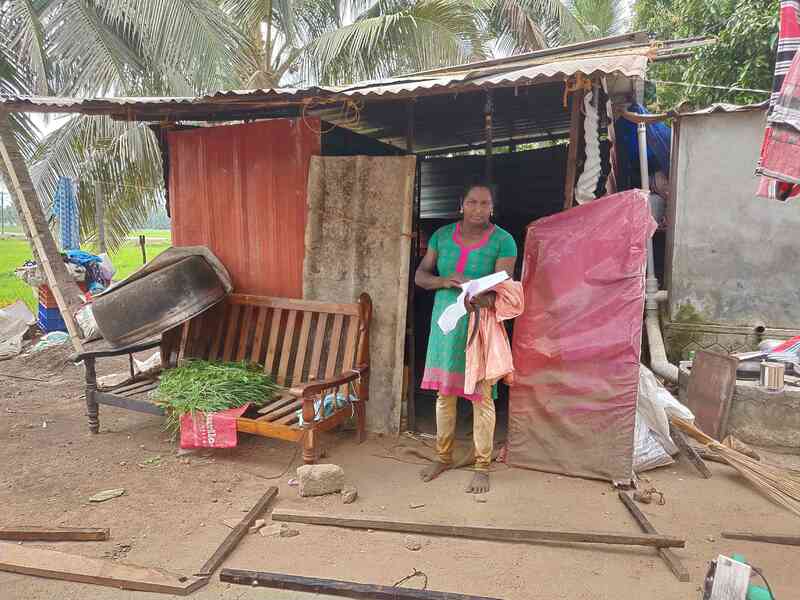 But the police and agriculture department officials claimed that Mathai Iso, 68, was not an agricultural labourer and that he was not exposed to Viraat. The cause of his death is yet to be officially confirmed. Addressing the Assembly on February 4, Kerala’s agriculture minister confirmed that Kumar’s death was caused by pesticide positing, but did not to mention Iso. However, the government announced compensation of Rs 3 lakh to each of them. 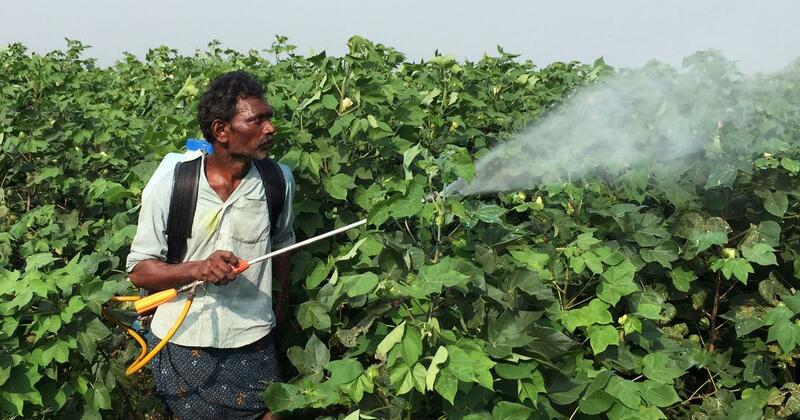 In the wake of Kumar’s death, Kerala’s agriculture department announced a slew of measures to regulate the use of chemical pesticides, including an immediate ban on the sale of Viraat. The department also started a programme to register all farm labourers who work with pesticides before February 10. It is running “awareness classes” for farm hands, farmers and pesticide dealers. The aim is to make them aware of the health hazards of chemical pesticides and the precautions to be taken while using them. The classes will conclude on February 26. Moreover, pesticide manufacturers and their agents can no longer run marketing campaigns “to lure farmers”. All dealers must prominently display at their outlets warnings about the maximum quantity of a pesticide to be used, precautions to be taken and possible side effects. On February 4, the Kerala government banned the sale and use of glyphosate for 60 days. Better known by its commercial names, Roundup and Glycyl, the herbicide is recommended to be used in tea plantations and on non-agriculture land. But it’s widely used in Kuttanad’s paddy fields when the ground is prepared for sowing. The newly announced measures seem to have failed to catch the attention of Kerala’s farmers, however. In Peringara, where Kumar died, only six labourers had registered with the agriculture department by February 6. It is a recurring theme in Peringara: farm labourers working with pesticides without being aware about their possible health hazards. That’s partly because manufactures are stingy with such information, said C Jayakumar, director of the environmental advocacy group Pesticide Action Network India. A warning label on Viraat, for example, reads: “Wear full protective clothing while mixing and spraying the pesticide.” It does not say anything about the type of gear that needs to be worn. Concealing such vital information should make pesticide manufacturers liable for criminal negligence, argued Jayakumar. “Agriculture department too has failed to inform the farmers that pesticides should be applied only after wearing protective clothing prescribed in the Insecticide Act of 1971,” he said. Such is the lack of awareness about the hazards of pesticides that Kerala’s farmers often refer to them as Marunnu, or medicine in Malayalam, Jayakumar said. “We should tell farmers that these are poisons that kill human beings and destroy the nature,” he added. Farm labourers are especially vulnerable to pesticide poisoning. In the paddy season, which runs from November-December to March-April, they often work for up to nine hours at a stretch, mixing and spraying pesticides. Lavanya said her husband usually worked for eight hours during the paddy season. He said the agriculture department should “at least keep an eye on pesticide use in Kuttanad and Palakkad” which produce the bulk of Kerala’s rice. “In the absence of such checks how can they ensure that Keralites are consuming pesticide-free rice?” he questioned. In Peringara, an agriculture department official admitted they have not inspected the gram panchayat’s two pesticide outlets this year. 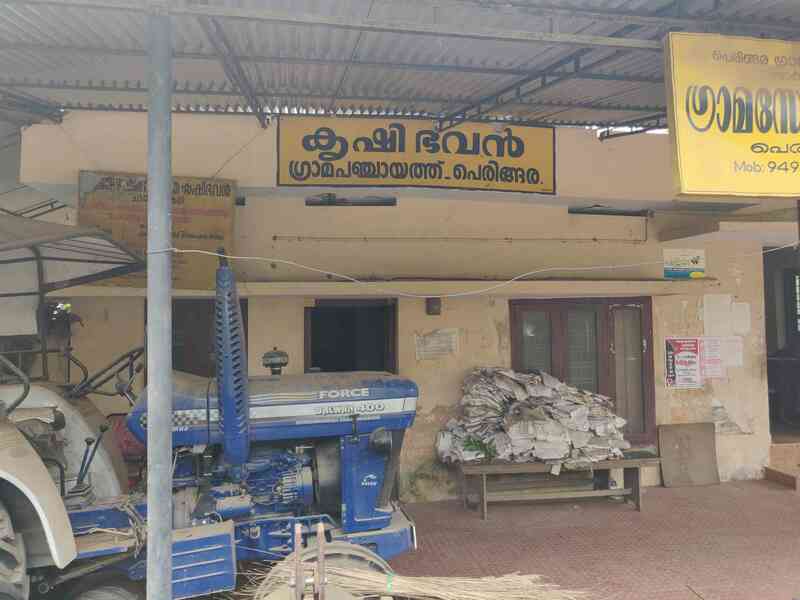 The local Krishi Bhavan was without the agriculture officer, who is supposed to conduct frequent field visits, for over three months, he added. The incumbent officer took charge only a few days before Kumar’s death. Peringara, with cultivable land of around 1,000 hectares, tops Pathanamthitta’s gram panchayats in rice production. This is the first part of a two-part series on pesticide poisoning in Kerala.